50 Cent stole the opening line for his 2003 hit, "In Da Club," from a song by former 2 Live Crew frontman Luther Campbell, an attorney claims in a lawsuit. Richard C. Wolfe filed the copyright infringement lawsuit against Curtis James Jackson, aka 50 Cent, in Miami federal court last week on behalf of Lil' Joe Wein Music. The 29-year-old rapper only changed one word from the opening line of Campbell's song from "It's Your Birthday," Wolfe said, after repeating the word "go" several times, "Sheila" becomes "shorty" in the line, "Go shorty, it's your birthday." Campbell's song appeared on his 1994 solo album, "Still a Freak for Life." "It's the melody, it's the pace, the style, everything about that one line is the same," Wolfe said. "We're entitled to a portion of the profits." 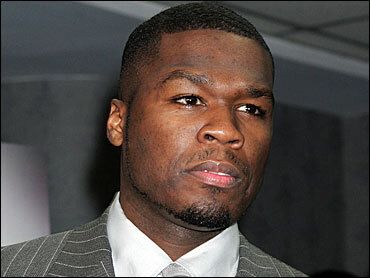 50 Cent's publicist, Dennis Dennehy, said he had no comment on the lawsuit. A message left Friday for Campbell was not immediately returned. Lil' Joe Wein Music holds the copyright to "It's Your Birthday" and other songs Campbell produced with his rap group, 2 Live Crew, and as a solo artist. Lil' Joe Wein Music is owned by Joseph Weinberger, a lawyer who formerly represented Campbell. Campbell's song "I Like It, I Love It" can also be heard on the 2003 DVD "50 Cent: The New Breed," the lawsuit claims. The lawsuit seeks unspecified damages in addition to lawyers' fees and other legal costs. Wolfe won a $2.3 million judgment against Campbell in 1994 for another rapper who claimed Campbell withheld royalties.